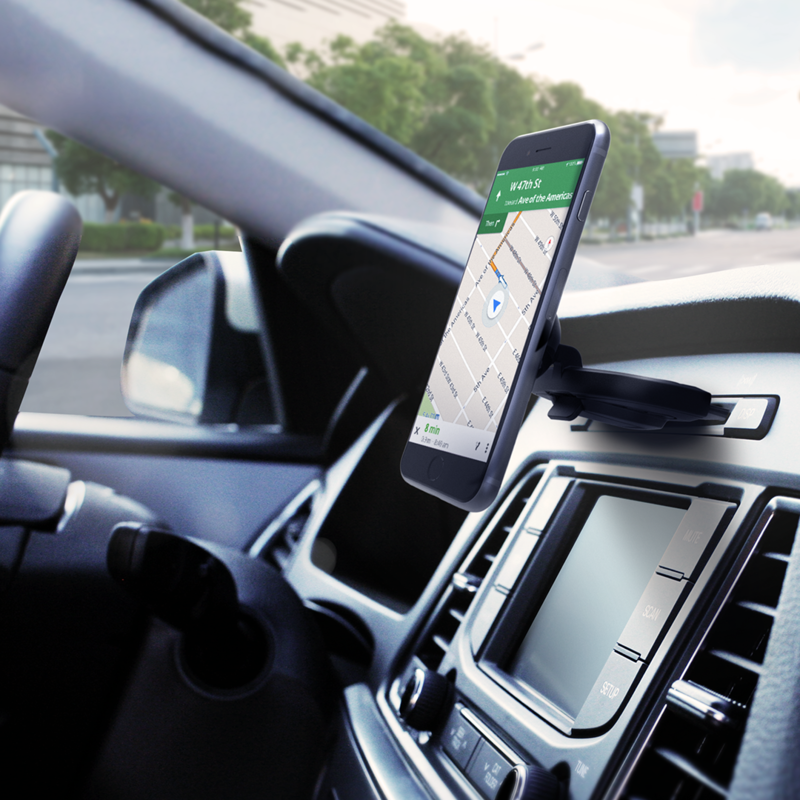 The Tap Magnetic 2 CD slot mount is a compact and powerful magnetic mounting solution that holds smartphones in any vehicle. Designed for safety and convenience, the iTap 2 features two rare-earth magnets that provide a strong hold for all smartphones and case combinations. 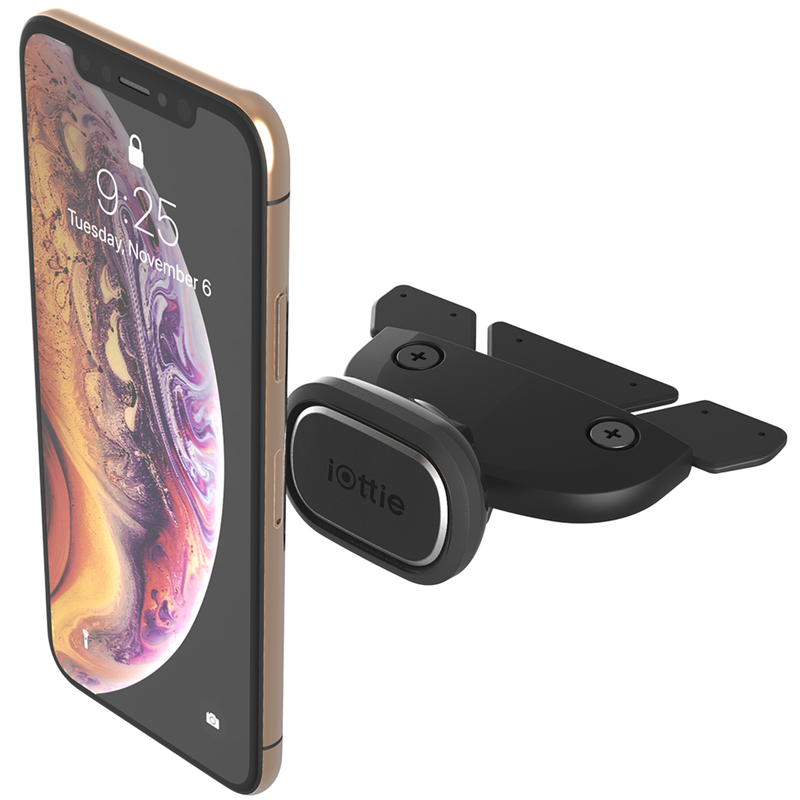 The mounting system includes a Metal Plate Kit with small and large metal plates and a Protective Film that attaches directly on the back of the smartphone or case and does not interfere with wireless charging when positioned accordingly. The iTap Magnetic 2 safely installs directly into the vehicle’s CD slot with a soft rubberized CD slot connector and a locking lever that secures the mount in place. 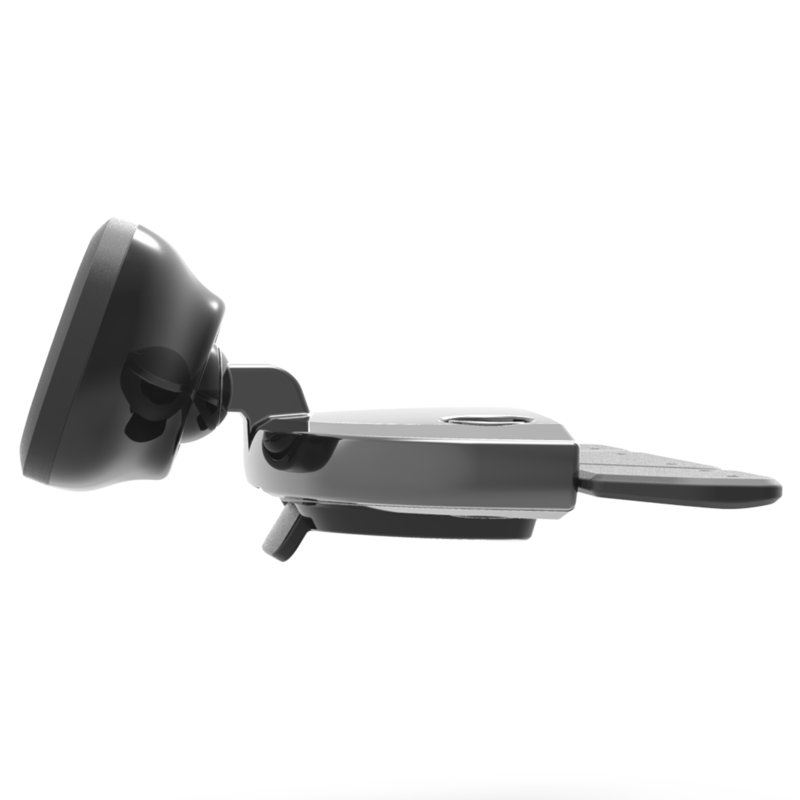 Once installed, simply tap the smartphone on the Magnetic Mounting Head to hold the device while driving. Adjust viewing angles in seconds with a rotating ball joint that swivels for added convenience. 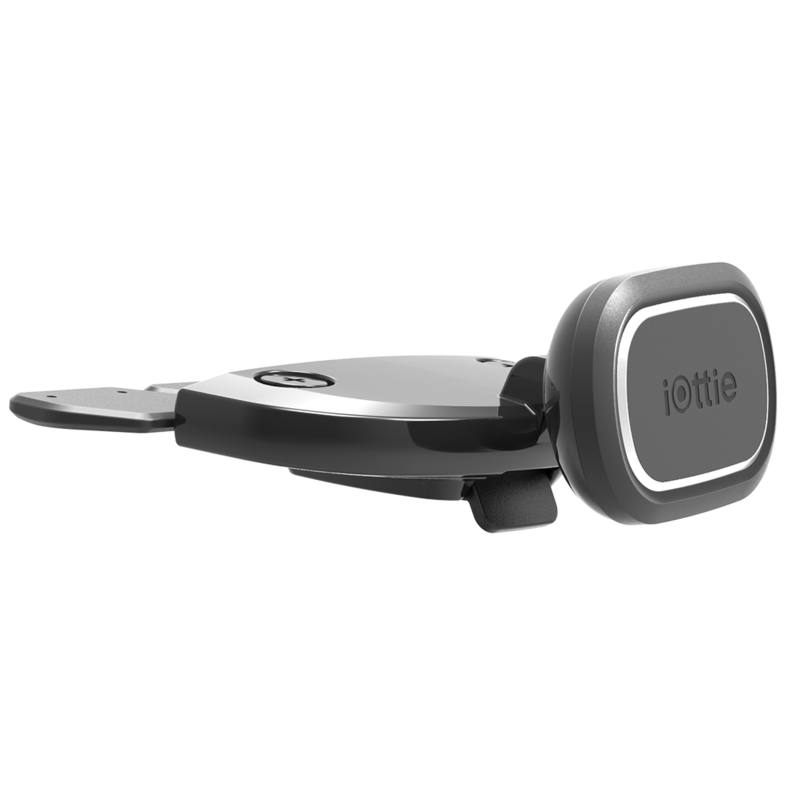 The iTap Magnetic 2 CD slot mount from iOttie is compact and powerful to safely enhance the driving experience on the road. Rare-earth magnets hold smartphones of all sizes securely. CD Slot Connector installs safely into most CD slots. Install on devices with cases. 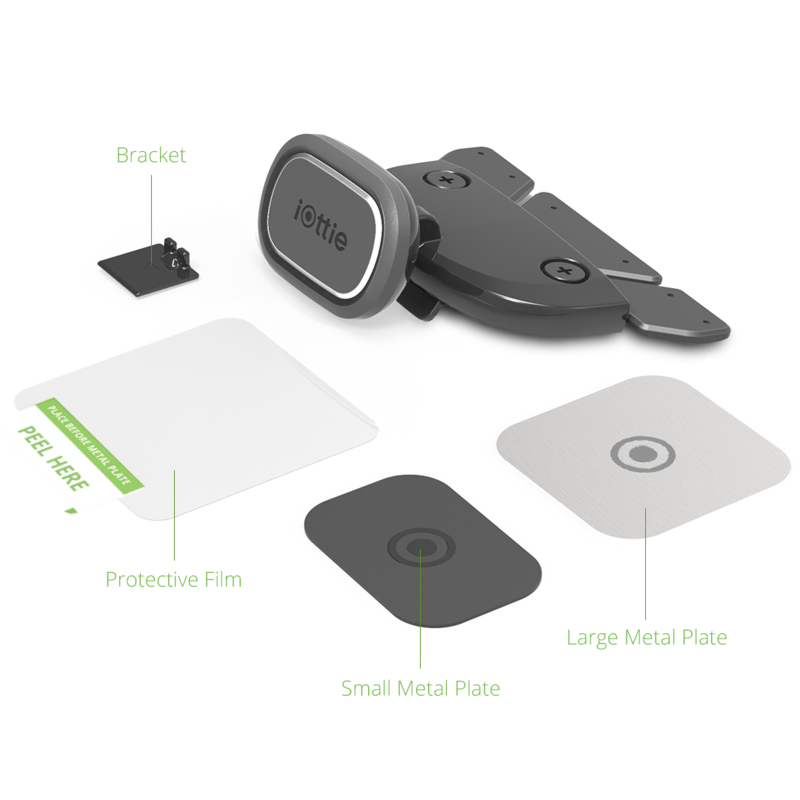 Includes two Metal Plates and Protective Film for wireless charging and non-wireless charging enabled smartphones. We only send important info about new product reveals & promos. * The e-mail appears to be invalid. Please try again. Copyright © 2019 iOttie. All Rights Reserved.